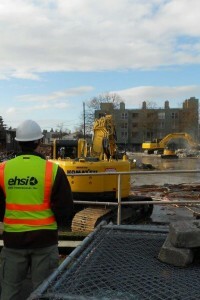 EHSI is a subconsultant on the team responsible for providing construction management oversight for environmental inspection and testing services on the Sound Transit North (Northgate) Link project. The scope of work includes oversight of asbestos abatement, underground storage tank (UST) removal remediation and waste management. EHSI is providing review of contractor work plans and permits, conducting quality control inspections and performing clearance inspections and testing, and final review of contractor closeout. Asbestos abatement oversight services include review, comment and approvals of contractor’s asbestos work plan; review of permits and notifications; quality control inspections during abatement; verification of proper handling and disposal of waste; conduct clearance air sampling and visual inspection; and review contractor’s post-abatement closeout. 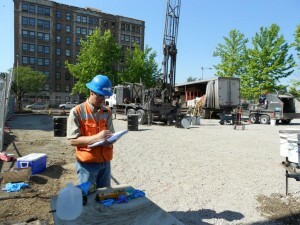 UST removal, remediation oversight and waste management services include review of contractor permits and notifications for UST removal and remediation; review of UST removal work plans; inspection of contractor’s cleaning and removal of tanks; oversight of contractor excavation of contaminated soil and/or groundwater; collection and analysis of confirmation samples; provide approval for backfill excavations; prepare tank closure and remediation assessment reports; support Sound Transit in review of contractor’s waste management plan and handling of construction waste and spoils.